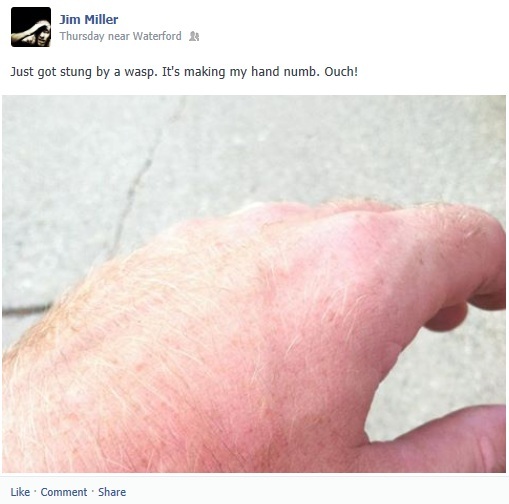 Feeling bad for my friend and having a strong disdain for wasps myself, I decided to immediately seek medical advice for Jim. 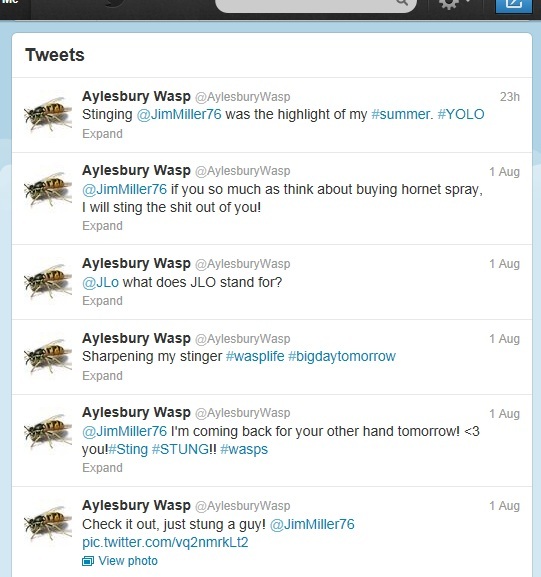 The Wasp’s account is back up and running. I have written Twitter a 15 page letter, voicing my disgust. I’ve included a self-addressed stamped envelope with enough postage to cover a 5 page response. I’ll let you know what happens. If I were your friend I’d run out and have someone paint a bat or cannibalfly on his other hand… maybe that would rattle the wasp just enough to cause it to move on and annoy someone else. Has your friend thought of trapping the wasp and shipping it off to Justin Bieber?